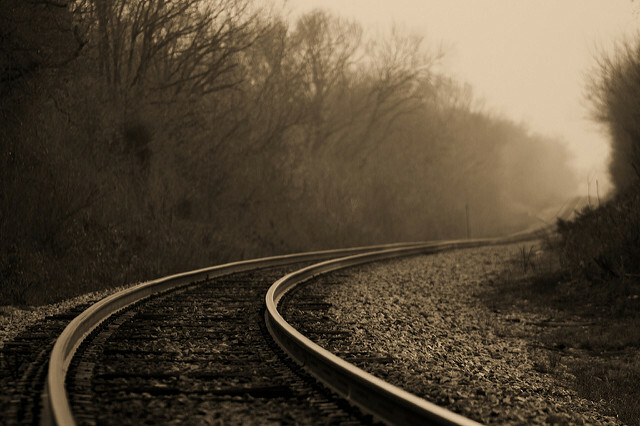 In November of the year 1910, six men boarded a private train car in New Jersey using only their first names and rode by night for hundreds of miles. Their official story was that they were going on a duck hunting trip. After they arrived in Georgia, they boarded a private launch. 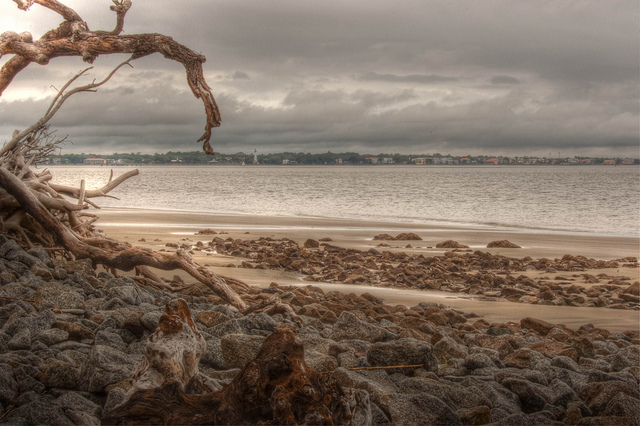 Their destination was Jekyll Island. This group of men included Senator Nelson Aldrich, the chairman of the Senate Finance Committee , A.P. Andrews, the Assistant Secretary of the Treasury and some of the most important bankers in the country. The meeting remained a secret for many years. 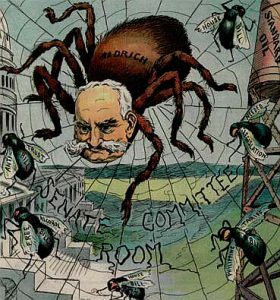 When the founder of Forbes Magazine published two articles revealing the details in 1916 and 1917, they were largely dismissed as fiction and went unnoticed. It was only after the publication of Aldrich’s biography in 1930, that the participants themselves confirmed that the meeting had taken place. These men were meeting to discuss concerns caused by the Panic of 1907, to attempt to reform the banking system and to formulate the creation of a central bank. Among their concerns were the the scattered distribution of cash reserves across the country, which were largely inaccessible during times of crisis and outdated rules that impeded financial and economic progress and overseas trade. 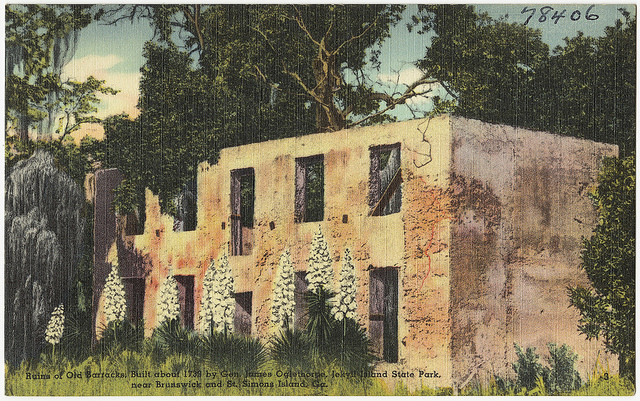 The location was the exclusive Jekyll Island Club and was likely arranged by J.P. Morgan. A 1914 article in Munzey’s Magazine proclaimed the club “the richest, the most exclusive” and “the most inaccessible” in the world. The membership roster included the names Morgan, Vanderbilt, Rockefeller, Astor, Macy, Pulitzer and Goodyear, and while these and other members drawn from the country’s wealthy elite may have enjoyed hunting ducks now and then, the attendees of this secret meeting were convened from early morning until night for over a week drafting plans which led to the creation of the Federal Reserve System. Expecting opposition to their plans, all the details were kept secret to the highest possible extent. The result was a report presented to congress by Senator Aldrich. The election of President Woodrow Wilson in November 1912, which led to the Democratic Party taking control of both houses, led to significant changes in the plan before it was passed and signed in December, 1913, but many details remained as outlined in the Aldrich Plan. It should be mentioned that there are strong opinions to this day as to whether all of this was a good idea or not. President Wilson himself later expressed regret at having signed the plan into law. The 100 year anniversary of the event was marked by ‘A Return to Jekyll Island’, a ‘reunion conference’ in which fed policy makers including Alan Greenspan and Ben Bernanke participated in nine conference sessions with the intent of evaluating the historical, present and future performance of the Federal Reserve. The conference was held at the Jekyll Island Club. Whale Island. French explorers arrived next, in 1562 and numerous confrontations between the two powers took place along the coast. The first permanent settlers were British colonists, who successfully drove the Spanish out of the area. General James Oglethorpe, who founded the colony of Georgia, named the island after his friend Sir Joseph Jekyll, a financier from England. 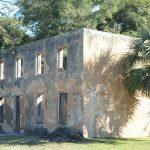 A military post and a thriving plantation were established by William Horton on the island and although his house was destroyed in 1742 during a Spanish attack, he rebuilt it using tabby, a material made of crushed oyster shells. After his death, ownership of the property passed through many hands until it was acquired by Frenchman Christophe Poulain DuBignon, who had fled France due to the ongoing violence of the French Revolution. 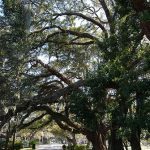 The much prized Sea Island cotton was cultivated for close to 100 years on the plantation, and the DuBignon family prospered with the help of slave labor. 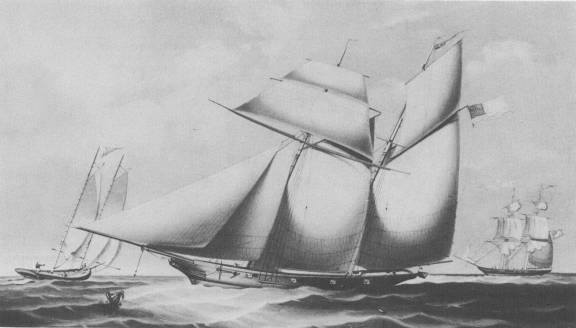 In 1858, the Wanderer, a former luxury yacht which became a vessel for transporting African slaves, landed on Jekyll Island with one of the last shipments of slaves to America. 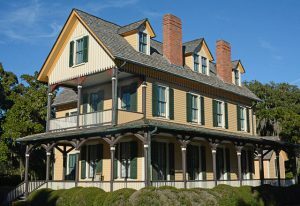 In the years that followed, productivity declined, however, and by the time the Union Army arrived in 1862, the plantation was completely deserted. After the war, the DuBignon heirs returned to the island and devised a plan to market it as a winter retreat for the wealthy. In this, they had a great success. 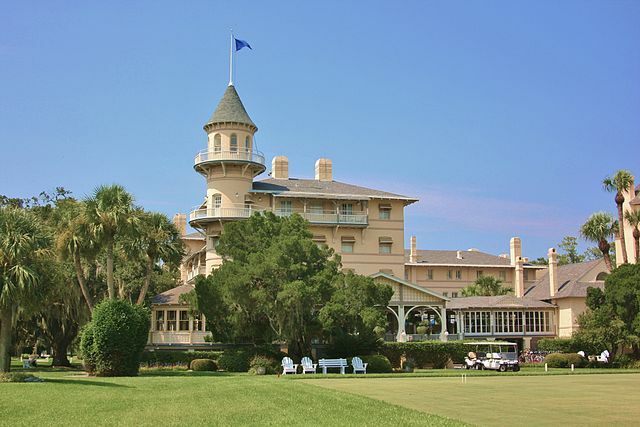 When construction of the Jekyll Clubhouse was completed in January 1888, one hundred shares of Jekyll Club stock at $600 per share were offered. Club officers were elected and a constitution and bylaws were drafted. A limit of 100 members was to be maintained in order to preserve exclusive status. Initially, the main activity was hunting and the island was stocked with wild turkey, quail, duck and wild game. Chefs and taxidermists were on hand and a daily accounting of the day’s hunting was required. Elaborate multi-course dinners, billiards, cards and dancing would take up much of the evening. In 1915, the event of the first transcontinental telephone call in the US took place. 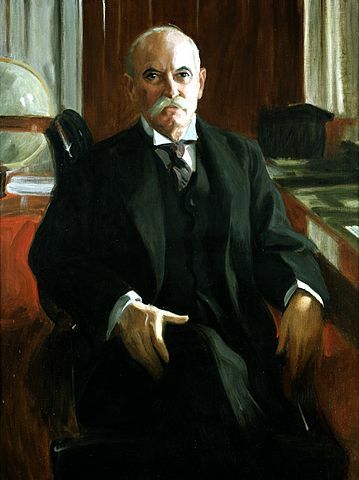 President Woodrow Wilson in Washington, D.C., Alexander Graham Bell in New York City, his assistant Thomas A. Watson in San Francisco and AT&T (American Telephone and Telegraph Company) president Theodore Vail on Jekyll Island took part in a four-way call. By 1928, the popular pastime had changed to golf and noted amateur golfer and golf course architect Walter J. Travis set about designing the ‘most beautiful’ course in the country. The Great Dunes Golf Course was opened in 1928, a year after his death, and became a testing center for the development of the game. 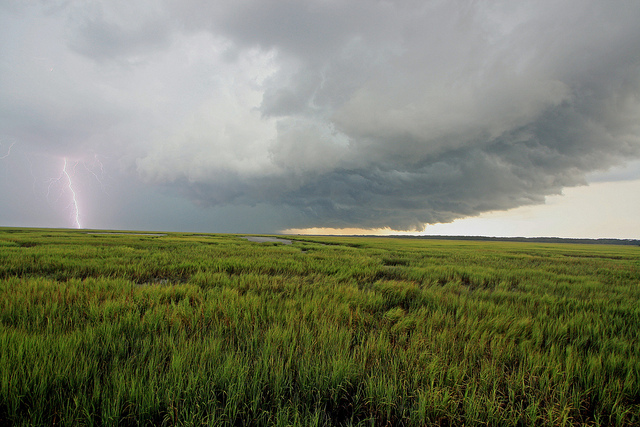 With the onset of World War II, the club was closed by order of the government and in 1947, the State of Georgia purchased the Jekyll Island from the club for $675,000. It was opened the following year to the public as a State Park. In 1954 a bridge to the island was completed. In 1956, an amusement park called Peppermint Land was erected on the island. An assortment of rides, including a roller coaster, ferris wheel and miniature train were installed. In August of 1962, the train tracks and some of the rides were swarmed by baby loggerhead turtles who became attracted to the bright lights upon hatching. This apparently happened more than once, and three years later, the park closed. 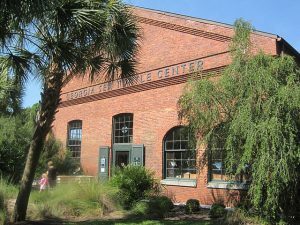 Roller coasters and ferris wheels are no longer an option on the island, but the Georgia Sea Turtle Center, opened in 2007 is! In 2015, a shopping center, Beach Village and Holiday Inn Resort and Westin hotels were opened on the island, which continues to be a popular holiday destination today. One with a fascinating history.